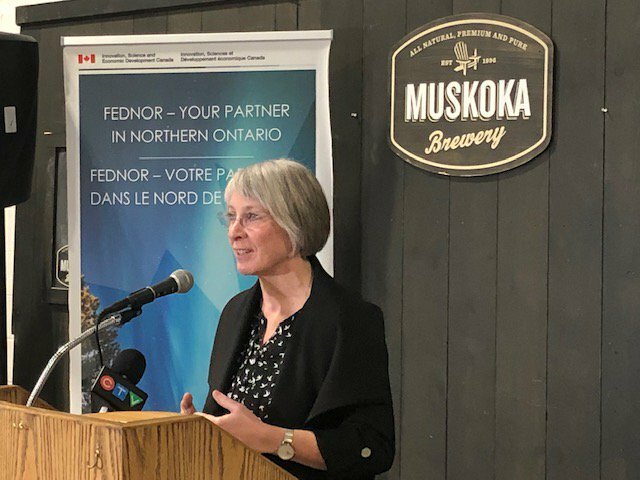 The Government of Canada is investing over $5 million into businesses, organizations and communities in Parry-Sound Muskoka as part of the Federal Economic Development Initiative for Northern Ontario (FedNor), according to an announcement on April 15. Patty Hajdu, minister of Employment, Workforce Development and Labour and member of parliament for Thunder Bay-Superior North, made the announcement in Bracebridge on behalf of the Navdeep Bains. Bains is the minister of Innovation, Science and Economic Development and is the minister responsible for FedNor. FedNor’s programs and initiatives support projects in Northern Ontario that promote sustainable community economic development, enhance business growth and facilitate innovation. 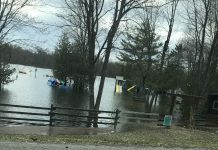 The funding will support 13 projects being led by Lakes of Muskoka Cottage Brewery Inc. (Muskoka Brewery), Township of Georgian Bay, Muskoka Futures, Seguin Township, Parry Sound Area Community Business and Development Centre, Tooketree Passive Homes, Magnetawan First Nation, Main St. Local Kitchen Inc., Muskoka Lakes Chamber of Commerce, Muskoka Tourism, Regional Tourism Organization 12 Parry Sound / Muskoka and YWCA Muskoka. Bob MacDonald, co-owner Muskoka Brewery, said it’s a great day for Muskoka Brewery and that he wants to thank Minister Hajdu, FedNor and the Government of Canada for the investment. 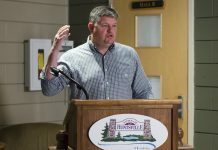 Muskoka Brewery is receiving the largest portion of the funding with a repayable contribution of $1,999,800. For more information about where the funding comes from and how it will be distributed, click here. Great move! My question is, why now? Election year, oh ya! Northern ontario is forgotten a lot of the times! This Liberal government is paying a lot of attention to Ontario right now until October! Keep the politics out of the funding! Carbon tax, tax increases on April 1 for the next many years! Mr. Trudeau needs to wake up, we are not running on a trust fund that daddy gave us!